When it comes to RPG’s, I typically avoid playing the big melee brawler. Tanks are an essential piece of every party, and there are no shortage of people who want to play them. This leaves room in a party for me to experiment with different races and classes, and to feel out some of the lesser used mechanics in the game. I’ve always been a fan of the more technical, finesse characters in RPGs. To me, nothing is better than taking out the big bad with an obscure, overly explained, race/class specific attack. I went over to Clave’s house to roll up a Starfinder character for the upcoming podcast, and began flipping through the Starfinder Core Rulebook. Looking through the races, Ysoki popped out as an interesting choice. Standing at just 3 feet tall, it’s the exact opposite of a tank. Ysoki are small, clever, and as dexterous as a squirrel trapped in a summer camp cabin. They are scrappy and don’t mind getting into a fight in close quarters. 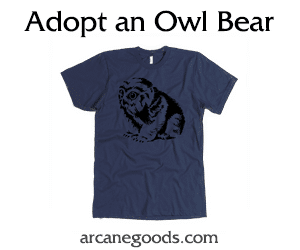 They’re social and gregarious, and pride themselves on being quick judges of character. ● Cheek Pouches – My personal favorite. Ysoki can store up to 1 cubic foot of items in their cheeks, and move items from hand to cheek as a swift action. They’re also well known as tinkerers, which reinforced the choice of Mechanic as a class. 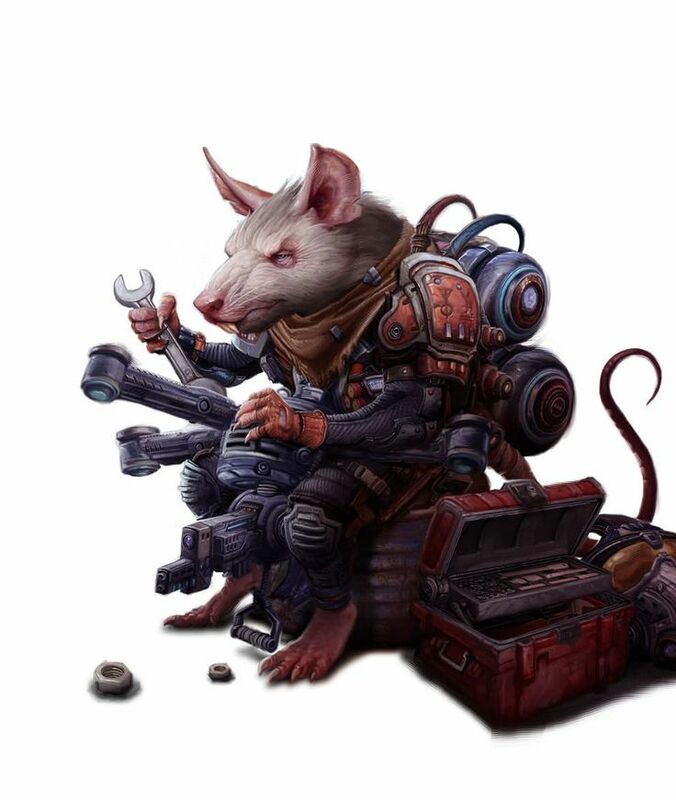 Mechanics play a critical role in the Starfinder universe. In a world surrounded by technology and machines, a savvy mechanic can be incredibly useful. 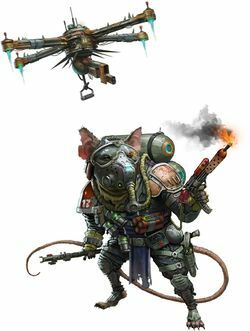 Equipped with a homemade AI in the form of a drone or exocortex, a mechanic is a finesse class that is almost mandatory when sneaking around starships or hacking into a computer system. ● Hover Drone – A small, lightweight drone equipped with a camera and a small weapon mount. Nothing better than having a safe way to check a room for baddies. I named my drone Sparky. ● Custom Rig – A specialized toolkit that aids in computers and engineeringchecks. It can also be used as a comm, and a long range drone controller. Lint Goba hails from Akiton, the ancestral home of the Ysoki. As a child he lived in squalor, repairing broken machines and computers to get by. Ysoki are a tight knit community, but Lint wanted more out of life. He took a job as an apprentice mechanic on a starship, and never looked back. Years later, while traveling through The Diaspora on the way back to Absalom Station, Lint’s starship was attacked by by The Free Captains of Broken Rock, a group of space pirates and smugglers. The starship was destroyed, the crew killed, and Lint was left to drift in his spacesuit and die. Running low on oxygen and near death, Lint spied a bright streak of light streaming towards him. He feared the worst, The Free Captains had circled back to finish the job. But Lint’s story wasn’t over yet; instead, he realized the bright streak of light approaching him was a Sarcesian, the indigenous humanoids of The Diaspora. Able to stop breathing indefinitely and traveling easily between the asteroids that make up The Diaspora, Sarcesians soar through the vacuum of space on long outstretched wings made of pure energy. The Angelic humanoid took hold of Lint and brought him to a terraformed asteroid, where he was nursed back to health. Using odds and ends parts he pirated from his own suit and drone, he was able to construct a distress beacon which a passing Starfinder Society vessel detected. He made himself useful aboard the Starfinder Society ship during their travel and assigned mission; so useful, in fact, that the crew put in a word to their superiors on his behalf. Upon their return to Absalom Station, he was initiated into the academy and earned his SFS insignia. New worlds and races meant new technologies. His favorite. He’d travel the cosmos a thousand times over if it meant a he’d have the opportunity to run his paws and mind over a new gadget…and improve it, of course. You can tune in to Lint’s adventures by subscribing to The Drift podcast. He travels the cosmos with Neth-11 (Android Operative), Olin Essa (Lashunta Solarian), Bokemper (Vesk Mystic), and P9KO (Android Envoy) on behalf of the Starfinder Society. The Drift also hosts conversations and interviews with the creative staff behind Starfinder, so be sure not to miss those behind the scenes conversations!